I read this article and found it very interesting, thought it might be something for you. 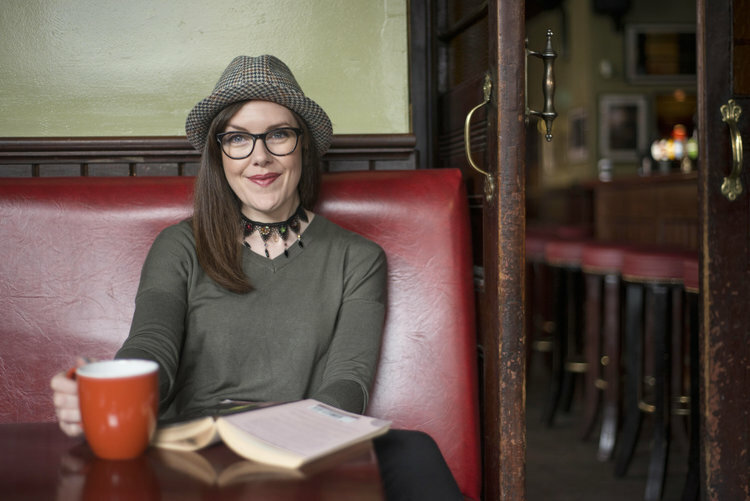 The article is called Nineteen for ’19: Vanessa Power – Sign Painter and is located at https://www.totallydublin.ie/more/design-section/nineteen-for-19-vanessa-power-sign-painter/. 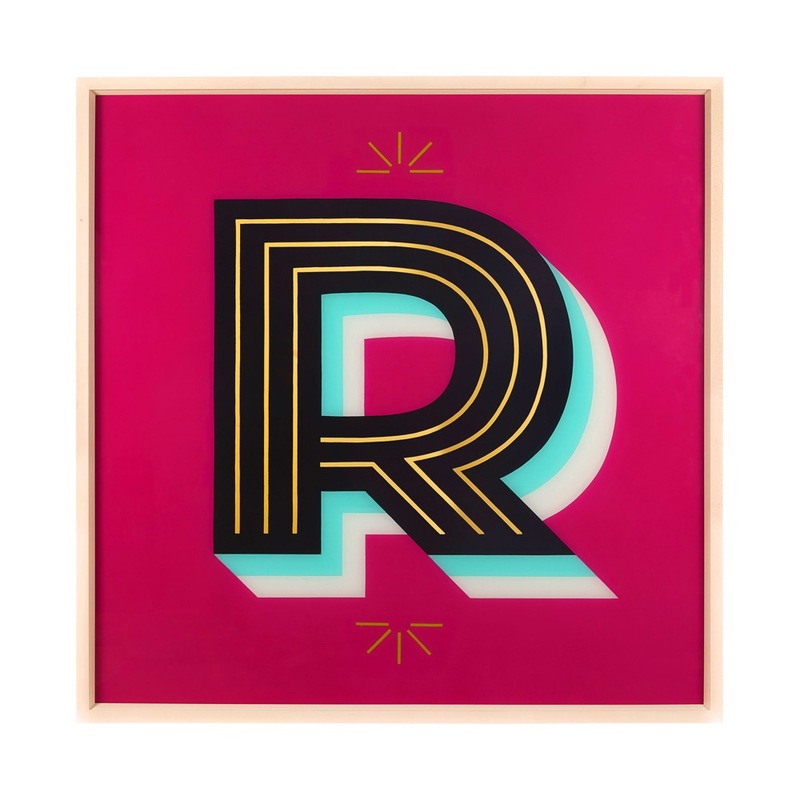 “I love the ethos behind it, it’s all about colouring outside the lines, making mistakes, being ‘imperfect’ and celebrating it” – Vanessa Power, Sign Painter. At the cusp of 2019 we talk to a collection of creatives about their highlights of 2018, their hopes for the year ahead and their design heroes. 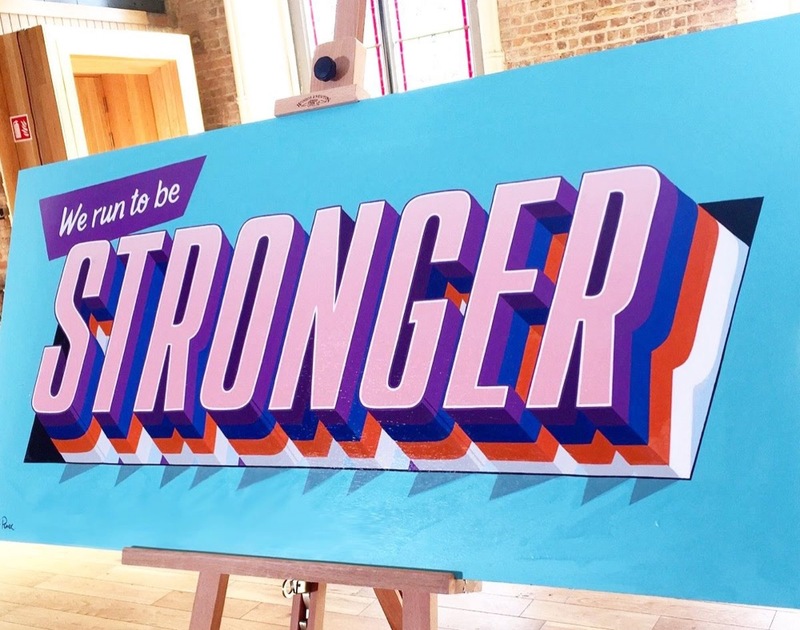 I loved working on the VHI Womens Mini Marathon campaign where I was asked to paint a piece in response to a runner’s story. This piece was then turned into billboard ads put up around the city. I must admit it was exciting to see my work on a billboard but also to be part of a project so positively celebrating women. And I was commissioned by Iverna Art to paint four one metre by one metre glass pieces for the Devlin Hotel. They were the biggest glass pieces I’ve worked on with gold leaf so it was a challenging but great experience. However, not such a good experience when I dropped one of them and smashed it into a gazillion tiny pieces! I have a solo exhibition on in November in Hang Tough Gallery so that’s my main creative goal for the year, creating new works for the show. I have some goals for improving brush skills and some new techniques I’ve been trying out. I’d also love to paint some big letters on a wall somewhere! Have all vinyl and dodgy digital signs replaced with hand painted signs. Nice! The Dublin of my dreams would be in eternal blue skies and have no litter on the ground. Oh, I kind of like the rain a bit though. Not when I’m painting outside mind you. Chalkboard artist Jorge Ruiz has been busy improving the chalkboards in Dublin cafés and restaurants over the past year or so. Check out his incredible boards in Cornucopia. 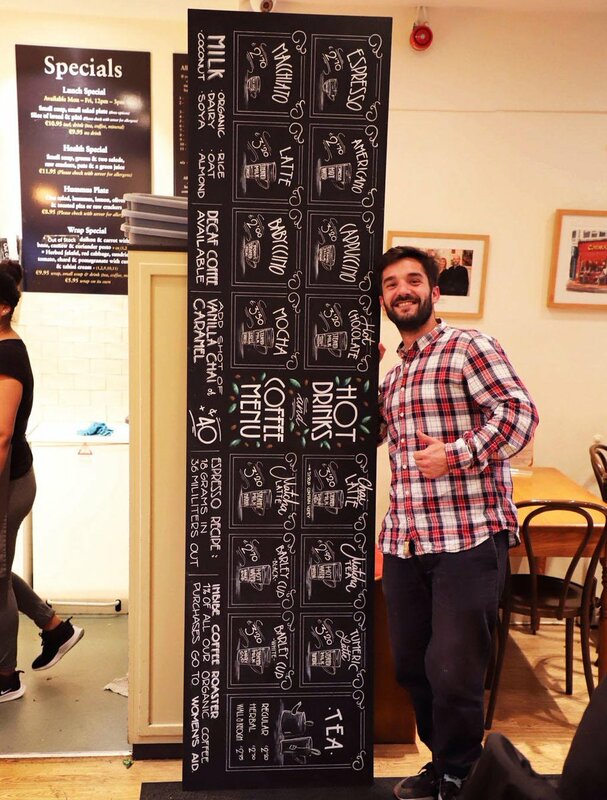 Every café should have boards done by this man! I love the work of photographer Pearl Phelan too. She does fabulous portraits and wedding photos. She can even make photos of random things look super pretty. Jessica Tobin, also known as Novice Jess on the street art scene, has started a kids art group with her sister called ‘Outside the Lines‘. I love the ethos behind it, it’s all about colouring outside the lines, making mistakes, being ‘imperfect’ and celebrating it. Using art as a form of expression of ideas, emotions and messages. How awesome is that for kids!